Last Game: Last Saturday at home against Hershey, the Penguins won 3-2 to make it ten consecutive wins at home to begin the season and remain the only undefeated home team in the AHL. Tristan Jarry stopped 25 of 27 shots in net. For Lehigh Valley, they were in Utica on Wednesday and won 3-1. Anthony Stolarz stopped 27 of 28 Comets shots and was named first star of the game. Last Meeting: It was the Penguins home opener on October 17 and a game they won 6-4. The Penguins scored five unanswered goals after going down 3-0. Tom Kostopoulos had two goals, an assist and was named first star of the game. 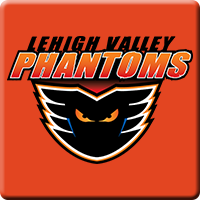 Why you should care: The Penguins can’t take the Phantoms lightly as Lehigh Valley is a hot and cold team. The Penguins could potentially get back Bryan Rust and Tom Kuhnhackl from injury while the Phantoms are missing key personnel but the Penguins are going to need a full 60 minute effort in order to make it a dozen wins in a row on home ice. Other Game to Watch: Tomorrow’s opponent Hartford hosts Sunday’s opponent the Hershey Bears tonight.